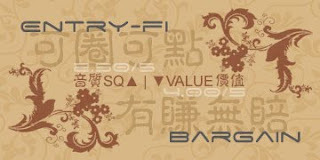 Fist, I want to thank Mamear, Cresyn's European distributor based on Estonia for the samples. 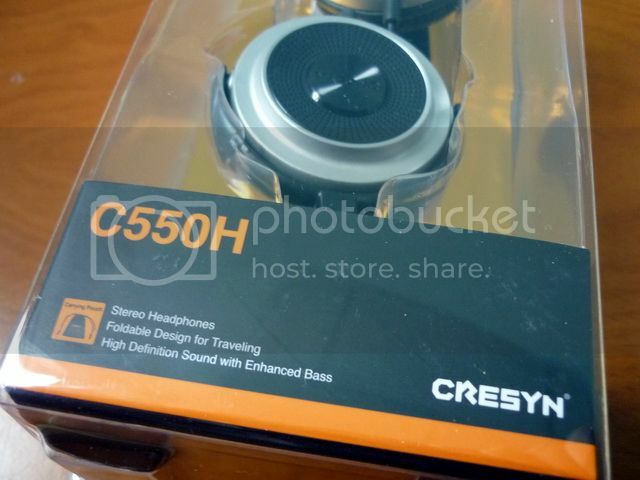 Cresyn has never been a big name in the Head-fi (except perhaps the sudden popular/disappear of C750E a few months ago), but they have make their name in the audio business as a solid OEM and consumer headphone manufacturer, especially in Eastern Asia. 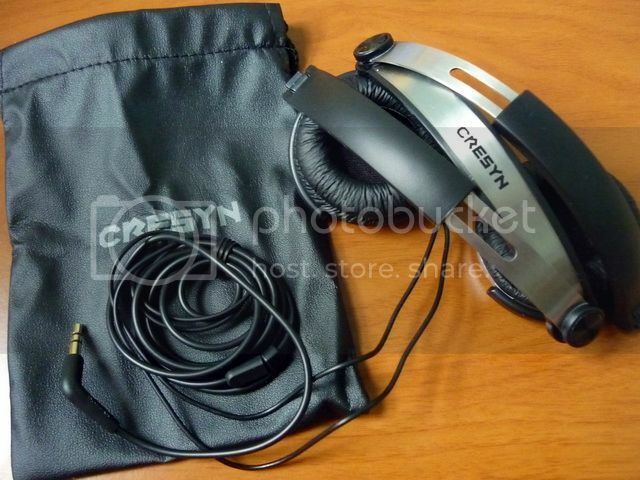 One thing which worth mentioning is that a few years ago, Cresyn decided to develop a higher-end headphone line under a new brand name 'Phiaton'. The new company mainly operates in the U.S.. Though with a few very interesting offering, they do not seems to get a lot of attention from the public eyes, certainly not much from Head-fi. All models come in blister packaging. Though not my favorite kind of packing, it is understandable. 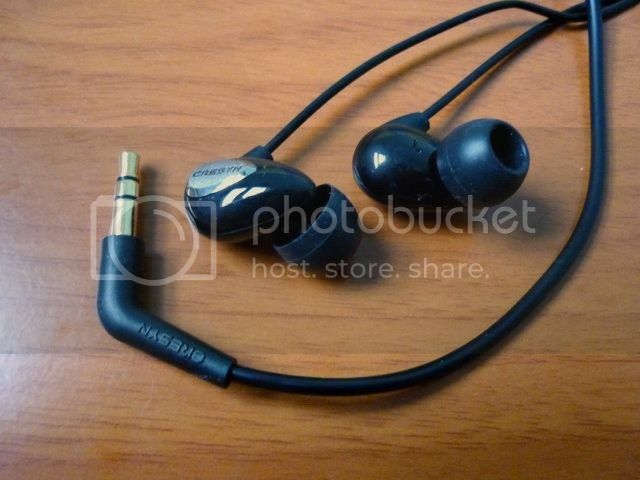 After all, these are not audiophile targeted headphones. Average consumer will likely want a more conventional packaging. Anyway, they are definitely well packed - clean, simply and fairly accessible. 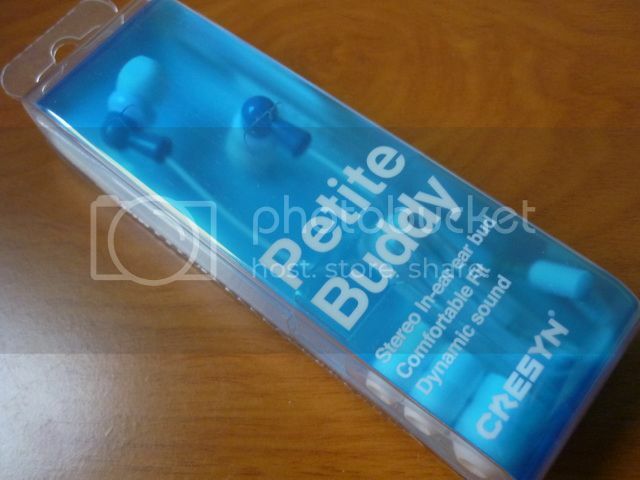 E222C, also known as the 'Petite Buddy' (yep, it is a weird name), is more or less an iPod Nano user targeted IEM. It comes in 7 colors variation to match the 7 colors of Nano 4 (and probably the same line of colors for the new Nano 5). Not much accessories to speak of, but it does come with 4 size of silicone single flange eartips (XS, S, M, L), which is a pair more of the typical (S, M, L) combination. The build quality is very decent. Through Cresyn is a Korean company, they do have their factory in China like almost everyone else. 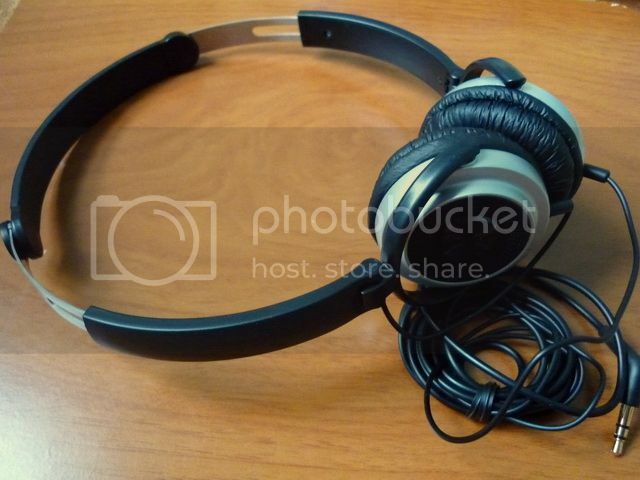 However, I can easily tell their headphone is very well made and a class above most of the Chinese manufacturers. It is not that it is functionally superior, but the attention to detail is what often set a company's products apart from the crowd. 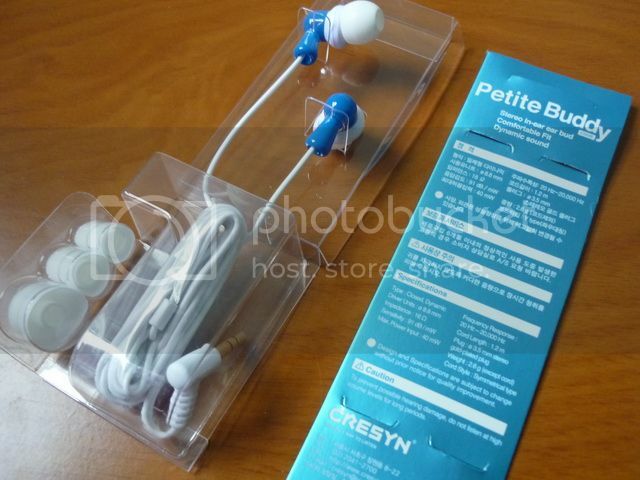 Like most of this type of IEM, fit is decent. Isolation is about average and microphonics is pretty decent. 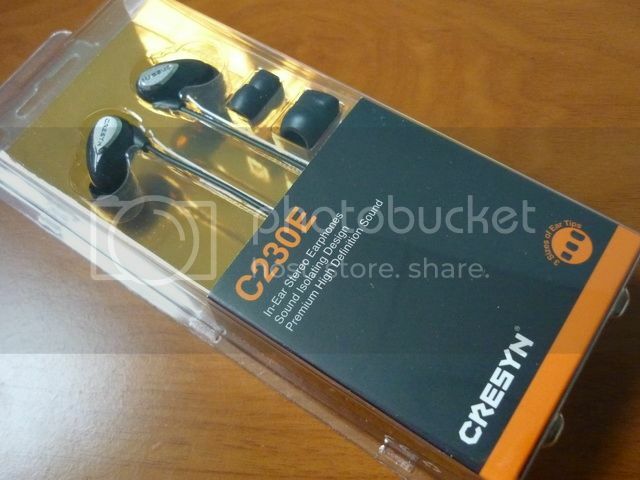 C230E is the more popular and easier to find of all the Cresyn IEM. 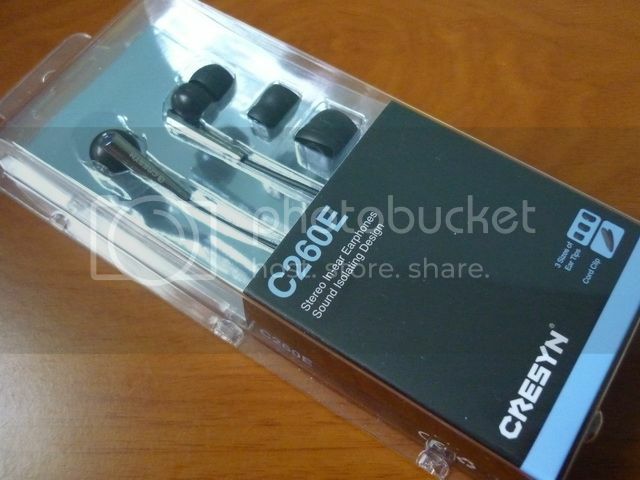 Packaging and build quality wise, it is similar to C222E but has a slightly better cable and over-the-ear style ear pieces. 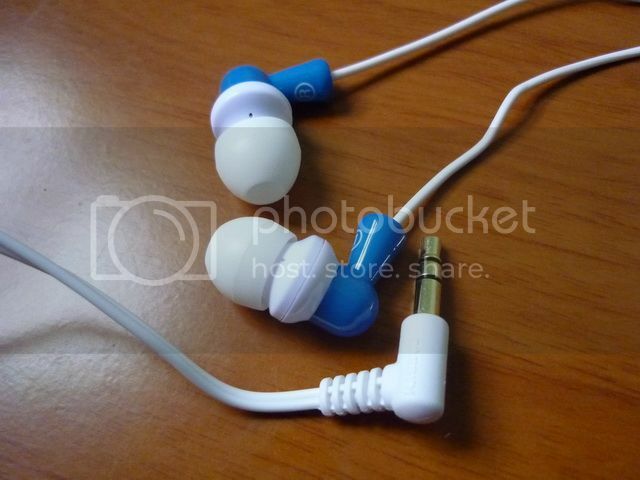 The ear pieces are very light and fit inside the ear comfortably. Unlike C222E, it only comes with 3 pair of eartips instead of 4. Isolation is about average and microphonics is not a problem due to the over-the-ear design. C260E looks and feels a bit more expensive then the other two. 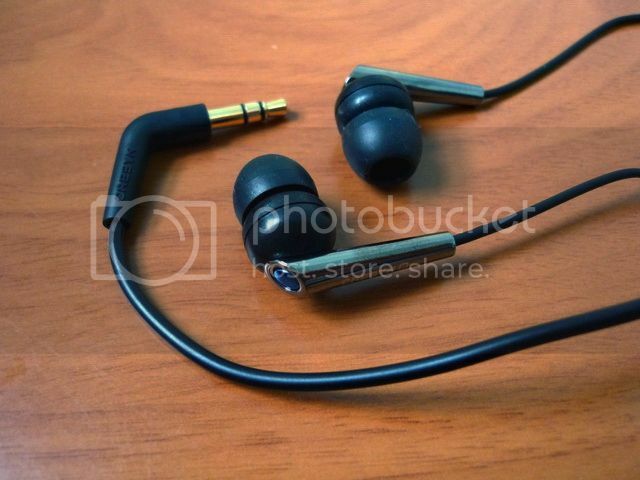 Beside the three pair of eartips, it also have a shirt clip. The metal stem on the ear pieces seem very well finished. Fit is fairly comfortable. Isolation is slightly above average and microphonics is pretty decent as well. 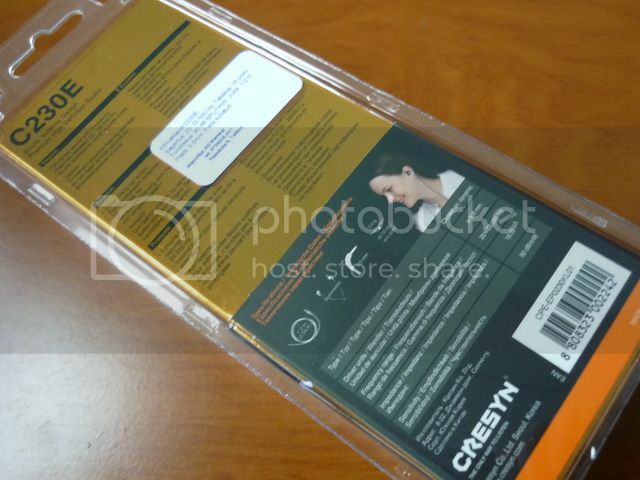 For all the Cresyn IEM, I really wise a small soft pouch can be included. it is not expensive and will really add point to the overall package. Like all other Cresyn, C555H is very well made. In fact, it looks and feels sturdier than my Sennheiser PX200. 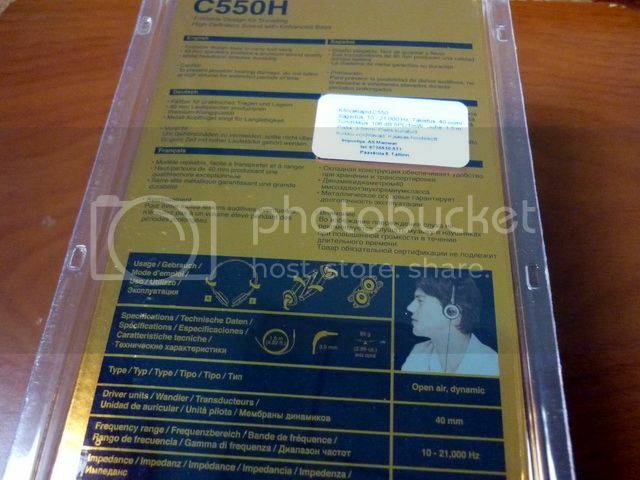 Though Cresyn labels it as opened headphone, it is actually a closed portable similar to PX200. A soft pouch is included and nothing else. A hard case like that of PX200 will be nice but I figure the way C550H is folded probably isn't going to fit well inside a hard case. 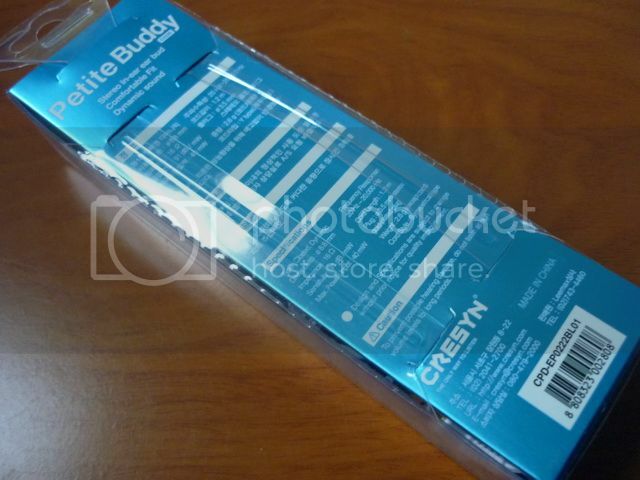 Like PX200, the head band has metal strip for reinforcement. The swing-able joins might look a weak point but they are all joined together by big metal knobs, which take the stress away from the plastic frame. Again, the attention to detail is simply excellent. As always, each model has roughly 50 hours of burn-in before any serious audition. For what it worth, I didn't detect any significant sonic change during or after the process. C222E has a very conventional sound signature: warm, full, mid centric, sweet vocal, decent bass with enough detail not to sound dark or feel severe lack of treble and an average soundstage. It is the kind of sound a casual listener will like as there isn't too much or too little of anything in the mix. Considered it is intended to pair with the colder sounding Nano 4, the synergy is actually fairly good. C230E shares largely the same sound as C222E, but more extended on both ends and not quite as mid centric. Treble is a little better but still far from being analytical, mid is a little sweet but overall closer to being neutral, bass is warm and boomy in the middle. Soundstage is average as well. C260E is the more specious and balanced sounding of the batch. Treble is better extended and more refined than the others, capable of showing micro detail to some degree. Mid is neutral, decent and doesn't have the fullness like the others. Bass is not as boomy as C230E and has a decent volume, impact and control. Soundstage is by far its strongest point. It is specious with some TF10-like / less in-your-face type of performance. C550H sounds a lot more like slightly warm sounding PX200, but better. Treble is decent though a little grainy. Mid is on the sweet side but tend to sound a little bit veil, much like the PX200. Bass is very decent with good impact and speed, but not quantitative wise a basshead headphone. Still, it is more than what PX200 can offer. 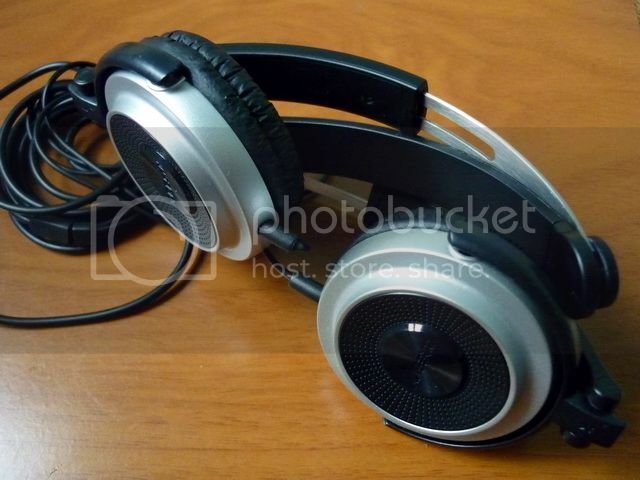 Soundstage is pretty good for a closed headphone of its size, but not a strong point. Cresyn is a bit difficult to find on the international market actually, but on most places I do find to sell these models, the prices are pretty decent in related to their performance. I found C222E to be around $15 in Korea, C230E is sold on Amazon for $19, C260E is roughly $21 on some part of Europe, while C550H is about $55 on the same region. Giant killer they might not be, they are still well worth the money for the decent sound and build quality that rival most big brand name. Perhaps they will serve well as a lower end backup or simply gift for friends and family members who listen to music casually. 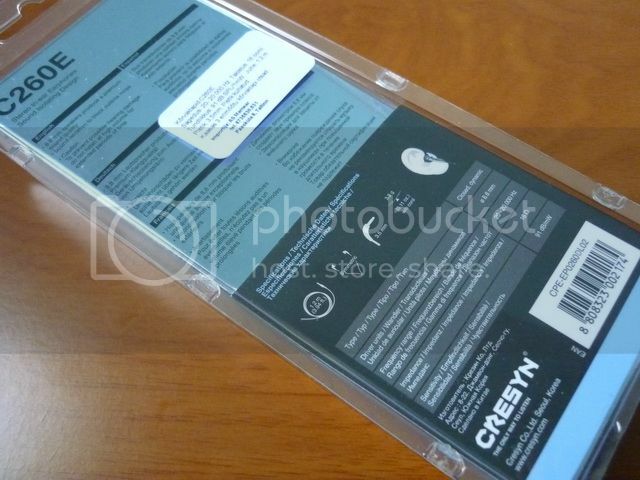 These Cresyn are simply a decent step up from the stock and they won't break the bank. This rating is for Cresyn C222E only and may change without notice. Please refer to the list for a complete listing. This rating is for Cresyn C230E only and may change without notice. Please refer to the list for a complete listing. This rating is for Cresyn C260E only and may change without notice. Please refer to the list for a complete listing.